​Coming Soon to Livermore and Tracy, California -Traditional Irish Step Dance Classes! 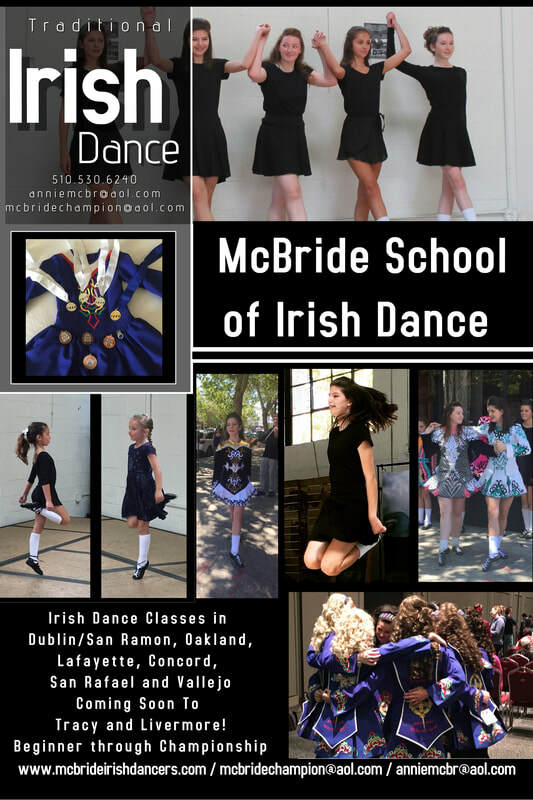 The McBride School of Irish Dance is very pleased to announce that we will be starting classes in Livermore and Tracy later this year. If you are interested in classes in one of these locations, please complete the contact form below and we will confirm your interest and forward information to you once the classes are ready for registration. We anticipate that registration for these classes will begin after the Thanksgiving Holidays. Our professional and dedicated teaching staff are very excited to be bringing Traditional Irish Step dance to the the Livermore and Tracy areas!